12mm. 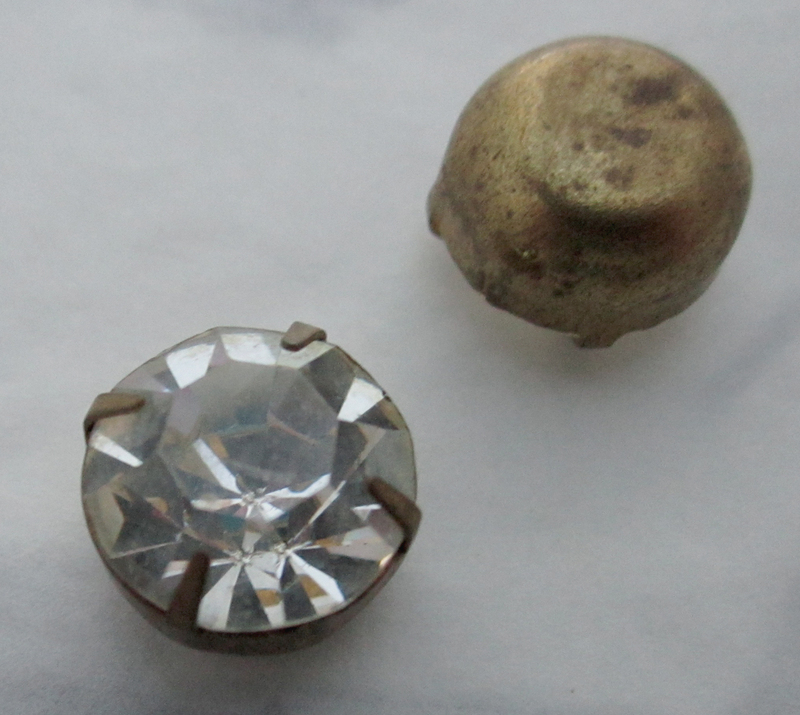 Vintage glass clear rhinestones in raw brass Settings. Vintage raw brass may have a patina with age. New old stock. Jewelry supplies.